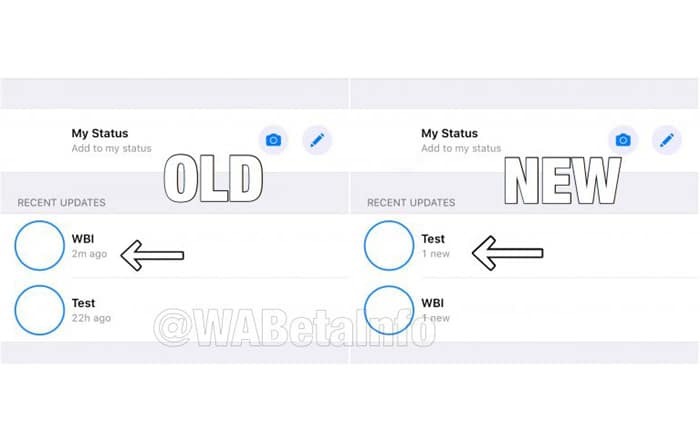 WhatsApp’s public iOS beta has been around for a few weeks now and some testers have already begun noticing some interesting new changes behind-the-scenes. It seems the company is working on a Ranking tool which will judge your interactions with your friends and assign them a rank accordingly. This Ranking feature is currently only visible in the iOS beta and not the Android one. If you have version 2.18.102.4 installed, you might be able to check it out in action. WhatsApp basically investigates how much time you spend with each contact using an algorithm and then places their status updates accordingly. According to WABetaInfo, if you send and receive a message from someone then they’ll get a normal ranking. If you send and receive media from them, they’ll get a good ranking. If you call that person via WhatsApp, they’ll get the best ranking. It also helps if you and the contact are in the same WhatsApp group and talk to each other with replies and mentions. Viewing their Status updates won’t hurt either. Conversely, if you ignore a person’s texts and don’t look at their Status updates, they’ll get a bad ranking. All these calculations are ultimately used to judge your contact’s position in the Status update window. Under the old system, statuses were organized according to time. The topmost one was the one which arrived most recently. The new system puts your highest-ranking friends at the top and tells you how many new statuses they have. The whole ranking concept is very similar to how Instagram operates, not a surprise given how many features crossover between the two Facebook-owned apps. WhatsApp has just implemented this new system so it might take some time for it accurately judge your contacts. In case you’re worried WhatsApp is spying on your interactions, WABetaInfo claims that the algorithm works locally on your iPhone/Android device. This way, no data is sent to the company about who you’re chatting with. Next articleHow Can Technology Improve The World Of HR?